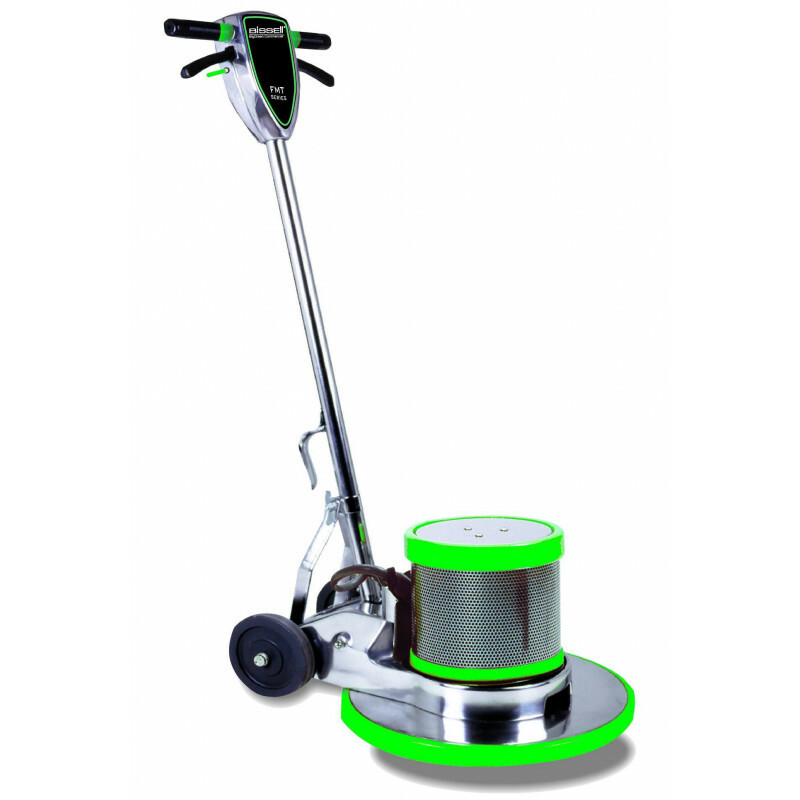 The Bissell 13 inch floor scrubber buffer is a great machine for scrubbing carpets. With a heavy duty 1.5 HP motor, this unit can easily handle the toughest buffing and scrubbing jobs. It is a great tool for doing your small spotting before doing a complete carpet extraction extraction. As a matter of fact, all of our 13 inch floor buffers are great for scrubbing carpets and floors in those hard to reach areas. They fit perfectly behind and around toilets in restrooms, and in compact doctor's offices. Light enough to carry up and down stairs. The absolute perfect floor buffer for the traveling general contractor and carpet cleaner!